Central Sydney is built in the Tank Stream valley. 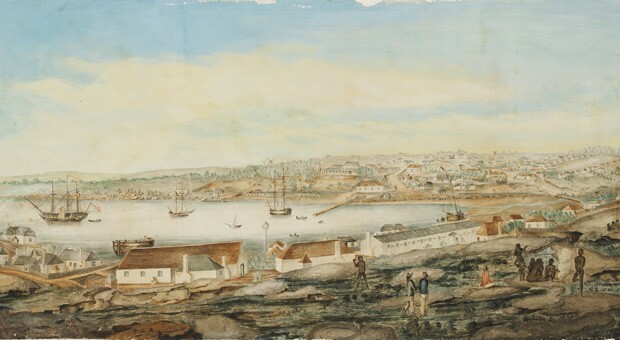 The Tank Stream now runs underneath the city, but its fresh water was one of the main reasons why Europeans set up camp in Sydney Cove in 1788. 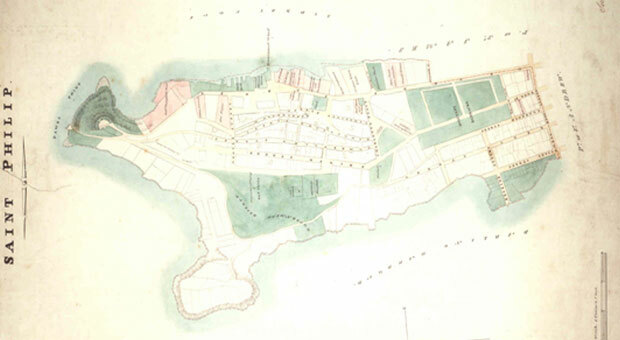 The stream drained swampy areas that existed around what is now Hyde Park, and flowed north into Sydney Cove (Circular Quay). If you travel west from Macquarie Street down any of Sydney’s streets you can still see how the streets dip down to where the Tank Stream flowed, before rising up again towards George Street. The Aboriginal name of the stream is not known, but it was significant to Aboriginal people as a source of drinking water and for the resources that grew along it. Some evidence of this use has survived two centuries of urban development. The best documented Aboriginal site along the Tank Stream was found during archaeological excavations in the late 1990s, ahead of the redevelopment of Angel Place, north of Martin Place between Pitt and George Streets. Archaeologists investigating European colonial remains noticed that a small patch of soil had survived which appeared to date to before the arrival of Europeans. They excavated it and found 54 stone artefacts made from a number of different types of stone. 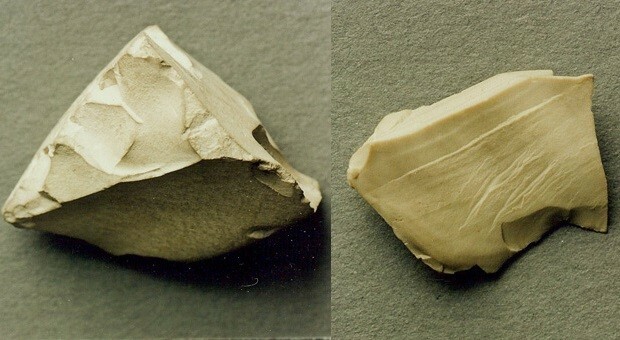 Most of the artefacts were small (less than 2cm in size), and were the waste material from the production of stone tools. This waste material shows that Aboriginal people sat just metres from the Tank Stream and manufactured stone artefacts. A small number of stone artefacts were also found recently a little further down the Tank Stream to the north of Angel Place along George Street during the redevelopment of the Ivy Nightclub. Aboriginal people also buried their dead along the Tank Stream. Over a century before the Angel Place campsite was discovered, workmen building additions to the nearby General Post Office in Martin Place found an Aboriginal skull in the buried banks of the Tank Stream. No other bones were found with the skull so it was thought it had washed downstream from a complete burial. It is also possible that the skull was in its original position and the rest of the grave had been disturbed or washed away over the previous century of European settlement, or through natural erosion. A hole in the skull was interpreted in the newspapers as a spear wound, but could have had a number of causes. The fate of the skull is not known, but at the time it was common for people to collect the remains of Aboriginal people or to sell them to museums or private collectors in Australia and around the world. The sites along the Tank Stream demonstrate that even in the oldest and most heavily occupied parts of Sydney, Aboriginal evidence has survived. 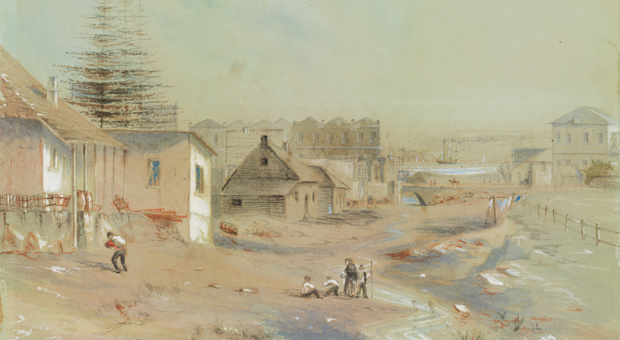 It is likely more discoveries will be made indicating the Aboriginal use of the Tank Stream valley through the continual redevelopment of the city centre. A small exhibition about the Tank Stream, including an excavated segment of the original brick-lined oviform drain, can be found in the basement of the General Post Office building. Enter directly under the clock tower. Godden Mackay Logan 1998. Angel Place, Sydney. Archaeological Salvage of Site #45-6-2581, Angel Place, Sydney (Report to AMP Investments Pty Ltd). ‘Brevities’, Evening News 2 February 1881: 2.